Back Bay Books, 9780316053679, 400pp. In an isolated stretch of eastern Kentucky, on a hilltop known as Blade Ridge, stands a lighthouse that illuminates nothing but the surrounding woods. For years the lighthouse has been considered no more than an eccentric local landmark-until its builder is found dead at the top of the light, and his belongings reveal a troubling local history. For deputy sheriff Kevin Kimble, the lighthouse-keeper's death is disturbing and personal. Years ago, Kimble was shot while on duty. Somehow the death suggests a connection between the lighthouse and the most terrifying moment of his life. Audrey Clark is in the midst of moving her large-cat sanctuary onto land adjacent to the lighthouse. Sixty-seven tigers, lions, leopards, and one legendary black panther are about to have a new home there. Her husband, the sanctuary's founder, died scouting the new property, and Audrey is determined to see his vision through. 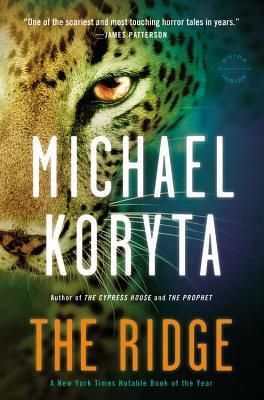 The Ridge is the new thriller from international bestseller Michael Koryta, further evidence of why Dean Koontz has said "Michael Koryta's work resonates into deeper strata than does most of what I read" and why Michael Connelly has named him "one of the best of the best." Michael Koryta (pronounced ko-ree-ta) is the New York Times bestselling author of nine novels, most recently THE PROPHET. His last three novels, THE RIDGE, THE CYPRESS HOUSE, and SO COLD THE RIVER were all New York Times notable books and nominated for several national and international awards. In addition to winning the Los Angeles Times Book Prize, his novel ENVY THE NIGHT was selected as a Reader's Digest condensed book. Koryta's work has been translated into more than twenty languages. A former private investigator and newspaper reporter, Koryta graduated from Indiana University with a degree in criminal justice. He currently lives in St. Petersburg, Florida, and Bloomington, Indiana.